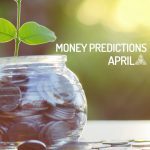 Looking for money predictions for April? Stars have shown what to expect for April 2019 in what comes to money. Check it out! With Venus in the House II of Aries, during most of the month of April, the sons and daughters of Aries will experience a significant improvement in finances, especially those who dedicate themselves to artistic or creative activities. Later, the Sun will enter the same site (House II of Aries), starting on April 19th, favouring transactions related to buying, selling and renting (in particular goods such as homes, land and premises). In the field of finance, it is essential to bear in mind that Jupiter, the planet of expansion, began its retrograde process in the VIII House of Aries, last March. Under this aspect, Arians can see the acquisition and management of goods as a competition with the immediate environment (family, friend, partner) and enter into strong confrontations for it. Recall that the first half of the month Mercury will be retrograde in Aries, so that reactivity to different situations will be the order of the day, causing more than one misunderstanding. Fortunately, you have the presence of the asteroid Pallas in House III, which will take you to wisely use your intellectual resources, which will have a positive impact on the handling of communications. Pallas in House III invites reflection not only in the present, but in the consequences of the acts, and how to align the results with larger objectives, or that have to do with the future. Likewise, this stellar position (Pallas in House III) will be crucial in the development of relationships in the work environment, during the month of April, since both Saturn and Uranus will begin to retrograde in your House X. House X has a professional vocation, status and public image among its areas of influence. This space of your astral map will have a lot of movement, in this season. On April 1st, the asteroid Vesta will enter the House X of Aries, encouraging an extreme dedication to the professional work that is done, which will increase your productivity and effectiveness, but can also trigger stress. Then, on April 17th, the retrograde of Saturn will begin in the same space (House X of Aries). The master planet of karma will take you to consider in depth the weight of responsibilities, which you place on your shoulders. The axis of the question is to differentiate between what you do because it really is your responsibility, and what you assume to show that you can do more than others, without worrying about the pleasant moments you lose, because of this behaviour. The tension will increase with the retrograde of Pluto, in the same planetary location (House X of Aries), from April 22nd. Here, we talk about personal power, and domain games. With retrograde Pluto and Saturn, Aries will be driven to rethink if they are truly emotionally involved in the work they’re doing and if that is not just a means to obtain resources. Pluto in House X confers the stimulus to build, so the natives of Aries will meditate if their efforts accompany a larger goal or limit them. No wonder the consideration of a change of profession, workspace or business position, as a means to create a path to suit you. The students of Aries will have a quiet season, although during the first half of the month teamwork can be difficult, due to the competition of egos (retrograde Mercury until April 14th). The retrograde of Saturn and Pluto, during the second half of the month, will provoke the revision of motivation, behind their vocational choice. Before making an irreversible decision, analyse in depth your academic options, personal talents, and life goals. The economic outlook will be very positive for the sons and daughters of Taurus, during the month of April. The asteroid Pallas remains in the House II of the sign, promoting strategic planning of resources and investments. Subsequently, Venus will enter this site (House II of Taurus), on April 24th, attracting interesting financial opportunities, with emphasis on the collection of old debts, and the purchase and sale of real estate and valuables. Without the influence of Mars in House VIII, the tensions generated by economic issues in the family environment (relatives, couple), will decrease considerably favouring those involved. In the workplace, Venus in your sign points to the increase of creativity and opportunities for visibility, although you must handle yourself carefully in the interaction with large groups, without overestimating the scope of work. It is important to highlight that in the month of April there will be retrograde of Saturn (April 17th) and Pluto (April 22nd) in the IX House of Taurus, an area that governs trips abroad, professional studies, beliefs and the publications. With Pluto and Saturn retrograde in House IX will come to light all the fears that host the bullfighting with respect to issues such as success, safety, entrepreneurship, loneliness and abandonment among others. It should be noted that the asteroid Vesta will enter this same position (House IX of Taurus) on April 1st, indicating that the connection with spirituality and the revision of the old beliefs will be crucial to overcoming this transit. The intense movement of planets in the XII House of Taurus will reinforce this trend, while Mars (also in House IX), will influence to take a more proactive attitude in the study of internal crises. The retrograde of Pluto and Saturn in the Taurus House IX can affect the performance of the students of the sign. It is recommended to organize assignments in advance, and be aware of the responsibilities assumed voluntarily. Although the general trend is for the entrance of resources to remain stable, it is important to point out that during the month of April, Saturn and Pluto will begin to retrograde in the VIII House of Gemini, on the 17th and 22nd, respectively. These planetary movements indicate fear of the possibility of material losses, promoting selfish behaviours that, in turn, may generate conflicts with the life partner or close family members. Retrograde Saturn in the VIII House of Gemini can induce an obsession (unhealthy) with the details related to the management of pooled goods, or of third parties (inheritances, family patrimony, investments and others). The Gemini native will feel overly pressured by the responsibilities he performs, refusing to delegate tasks out of distrust of others (he does not doubt the honesty of the others, but of his capacity). On the other hand, the retrograde process of Pluto in the same location (House VIII of Gemini) points out that emotionality can cloud your financial perspective, so it is necessary to connect with intuition. Saturn and retrograde Pluto indicate that it is necessary to learn to trust your personal power and the people around you. There is no reason to hoard loads when there are willing (and able) individuals to hold your hand. It should be noted that Mars and Lilith (the Dark Moon) are also found in the VIII House of Gemini, and on April 1st the asteroid Vesta will enter this section of your astral map. Although the energy of these celestial bodies is often associated with conflicts and reactive responses, they also hold a lot of potential in terms of actively pursuing your goals and making your inner voice heard. In the same way, the asteroid Vesta can channel your energy towards the resolution of crises, starting with the attention of personal conflicts that remain latent (hidden). In the workplace, the influence of retrograde Jupiter in the VI House of Gemini is an invitation to review the extremist behaviours that you show in the professional environment (tireless activity, laziness and procrastination). The work of consciousness focuses on balancing the internal (Saturn and Pluto retrograde in the VIII House of Gemini), with the external, that which links you with the social environment (retrograde Jupiter in House VI). Another aspect that you should consider especially, during this time of the year, is the intense activity that is registered on your XI House, the zone that governs the relationship with groups, friends, colleagues and communities. April starts with the Sun, and Uranus in this position, in addition to retrograde Mercury. Chiron will enter the sector on April 17th, two days after the New Moon takes place on the same site. What is translated of these alignments, is that you are loaded of projects (Sun and Uranus in the House XI), that you wish to communicate to your work team, but different obstacles have crossed in the way (retro Mercury). Before assuming the fatalistic view of the situation (“the Universe is against me”) or impulsively launching into the charge (Mercury retrograde in Aries), it is convenient that you examine the opportunity that your ruling planet offers you. Mercury retrograde in the House XI of Gemini, and under the influence of Aries, indicates that you should review the details of those initiatives that you develop in a group or want to share with others. It is time for reflection, not for reaction. Start your direct phase on April 15th (the same day of the New Moon in Aries), which coupled with the presence of Pallas in your sign, will allow you to draw a strategy that yields the best benefits. On the other hand, Chiron offers the option to heal those beliefs that limit the most authentic expression of your being. Important: the asteroid Juno will enter the House XI of Gemini, on 28th of April, the commitment to the desired project extends from you to all involved. The finances will maintain a positive look for Cancer, in the month of April. The presence of Ceres (direct) in House II of the sign, speaks of productivity associated with future projects. That is to say, it is not about collecting money for whims or superfluous expenses, but with the aim of achieving something important (stability, promoting a professional project, purchase of real estate or vehicles, removals, studies). Important: do not invest large sums of money in gambling or doubtful business, for the haste to double your profits in a short time. Likewise, the South Node is kept in House VIII, which shows those patterns that need to be changed, related to the management of shared property by marriage or family. The South Node in the VIII House of Cancer also talks about situations that have to do with trust and intimacy, as well as desires that remain hidden, among other taboo subjects. In the professional field, the retrograde of Jupiter in the V House of Cancer reflects certain problems in the practical application of creativity, in the work (project development). Fortunately, you count on Venus in House XI of your sign, where the Sun will also enter, on April 19th; which translates into a team willing to help you overcome the pitfalls (colleagues, coworkers). The available energy is aligned with the meaning of the South Node in the VIII House of Cancer: overcoming distrust and distrust towards third parties, (keep in mind that one of the forms of personal growth is the interaction with others). Another aspect to take into account in the month of April is the entry of Chiron to the X House of Cancer (17th of April), a transit that drives to consider the situations of the past that prevent enjoying the success of the present. Remember that in House X of Cancer is present Uranus, and the Sun (which will leave the position on day 19), so that the questioning may be linked to beliefs inculcated by one of the parent figures. At this point come into play aspects such as your concept of success and merit, you may feel dissatisfied because you think you can do more or believe you do not deserve what you have achieved (imposter syndrome). With Uranus in the X House of Cancer, at the hand of Chiron, you have all the tools in your favour to break limitations of this type (whether they are their own or imposed by others), but the work will be arduous. The entrance of the asteroid Juno in this location (House X of Cancer), on April 28th, marks the need to commit to the dissolution of the old patterns and the projection of new objectives. The finances of the Leo natives will remain stable during the month of April, although they should continue to take care of the details of the contracts that involve the management of shared assets with family members, or the couple. Neptune continues in the VIII House of Leo, so that people in your immediate environment may be attracted to not very realistic ideas, associated with the management of economic resources. Fortunately, you have Ceres (direct) in your sign, which will help you have a “cool head” to examine the proposals that may arise, and opt for those that are really profitable for everyone. This mood will be essential to face the retrograde of Saturn (17th of April) and Pluto (22nd of April) that will take place in the VI House of Leo (area of work, health and lifestyle), where Mars is also found and Lilith. These planetary aspects will promote rigour and lack of flexibility in dealing with third parties, as well as acerbic criticism directed at co-workers and power conflicts with colleagues. You must bear in mind that your methods are not the only ones and they do not enjoy total infallibility either, before making judgments about the position of others, open yourself to new ideas, experiences and points of view. The asteroid Pallas is in your House XI so the strategy will be a crucial factor to achieve the objectives, and achieve an understanding with your colleagues. If you act impetuously, you will receive a rejection. It should be noted that Venus, the planet of desire, is in Leo’s House X (until April 23rd), and where the Sun will also enter, on the 19th. With this, you will have at your disposal interesting opportunities to project your professional image. Although retrograde Mercury decreases speed in terms of the results of travel and contacts abroad, publications and university procedures (attention students), events will accelerate from the second half of the month. The finances remain stable for the natives of Virgo, in April, although the presence of Mercury retrograde in the House VIII of the sign, can attract conflicts in the matter of shared goods, during the first half of the month. In general, the income offers a positive balance, but there are tensions with partner or relatives, due to the tension of retrograde Mercury, coupled with Uranus in the same location (House VIII), requires rapid resolution. Fortunately, the Sun is in the same position (until the 18th of April), and Mercury retrograde will end on April 15th, which will lead to a better understanding between the parties involved. While there may be strong arguments (Sun under the influence of Aries), the inherent honesty will make it clear all pending and discover new common points. It should be noted that Chiron will enter the VIII House of Virgo, from April 17th, which translates into the intensive work of employers related to the trust in third parties and the management of personal power. In the workplace, the beginning of the retrograde of Saturn (April 17th) and Pluto (April 22nd) in the V House of Virgo, speaks of a stage in which creative obstacles may appear, coupled with an arrogant attitude. This type of behaviour can generate distance with teammates and colleagues. Remember that Jupiter, the planet of expansion, is retrograde in your House III. Jupiter’s (apparent) regression phase influences the state of mind, denoting a certain pessimism, restlessness and fear to remain stagnant, without forgetting the tendency to impose one’s opinions, regardless of others. You can place the energies of the retrograde planets in your favour if you intend to do so. Retrograde Jupiter teaches the importance of humility and incites curiosity towards areas of knowledge that went unnoticed by you. In the same way, retrograde Saturn in the V House of Virgo aims to respect your own times when it comes to expressing your potential, but without falling into long waits under the auspices of perfectionism and fear of failure. For its part, retrograde Pluto talks about considering ambitions: when your wishes are your own and when they are imposed by society or the environment (family, friends) Is it personal satisfaction or do you want to show something to others? Another aspect to take into account in April is the presence of Venus in the House IX of the sign (until 23rd of April), the location where the Sun will enter, during the second half of the month (19th of April). With Venus and the Sun in the IX House of Virgo, activities related to university studies, travel, contacts and procedures abroad will benefit, as well as artistic publications. Later, when Venus enters the X House of Virgo (April 24th), where the asteroid Pallas remains, it will be a good time to relaunch your professional image or personal projects (especially web pages or blogs). The financial balance will not be entirely positive for Libra, in April. Jupiter remains retrograde in House II of the sign, so there is a tendency to spend more than necessary, relying on future labour benefits that might not materialize (Neptune in House VI). Instead of getting carried away by the excess of optimism, ostentation and the idea of “buying” the affection of others, take advantage of the retrograde of Jupiter to heal the relationship with money (transform patterns of greed, lack or waste). One of the most important actions you can take during this period of the year is to establish a harmonious link with your main source of income. Enjoy what you do, remember that once you wanted to get where you are. And if you are considering a change of company, profession or department, keep in mind that your current position is a stretch of the road you want to travel, and will help you boost your dreams. Be grateful. On the other hand, Venus in the VIII House of Libra indicates that you have the support of family or couple to face the economic ups and downs. The entrance of the Sun in this same location (April 19th), speaks of possible unexpected gains. In the workplace, a general harmonious climate is maintained. It is convenient that you do not take for granted some changes (salary, hierarchy or department) until they have been finalized or signed in a formal agreement. Retrograde Jupiter in House II of Libra and Neptune in House VI can create a sense of disproportionate optimism and flattering but unrealistic perspectives. Do not stop visualizing what you want, but keep your feet on the ground. It should be noted that you have accounts with Ceres in House XI, so the support of colleagues and the work team will be essential to maintain productivity during this period. On April 24th, Venus will enter the House IX of Libra, a favourable position for students of the sign, those who wish to continue studying abroad or embark on a career in the arts. With the asteroid Pallas, also present in House IX of Libra, this transit will be especially beneficial for those who have time working in the publication of books, staging or the execution of an exhibition. The finances will remain stable for the natives of Scorpio, in the month of April. The presence of Pallas in House VIII of the sign, announces the holding of strategic meetings with the couple or close relatives. The reason for these meetings will be to define the future of joint assets, investment options, distribution of resources, liquidation of old debts, and study of individual projects that require general economic support. One aspect that you should pay special attention to in April is the retrograde of Saturn and Pluto, which will take place on the 17th and 22nd of April (respectively), on House III of Scorpio (communications, short trips, relationship with the environment). The retrograde of Saturn and Pluto marks two recognizable trends: to miss opportunities to be overly shy or to damage public image by expressing derogatory and acerbic criticism towards third parties. Although the situation can generate tension with co-workers, neighbours and siblings, avoid thinking about it as if it will be about restricting your communication skills. Both planets seek to draw your attention to how you manifest your personal power and the use you make of communication resources. Do you offer constructive contributions or do you prefer to undermine the contrary? The retreat of Saturn and Pluto can also cause certain mishaps in short trips or daily transfers, so it is advisable that if you have your own vehicle you keep it 100% operational, as far as possible. It is important to note that in April we will see an intense movement in House VI of Scorpio, where Uranus, retrograde Mercury and the Sun meet. The planet of communication will begin its direct phase from April 15th, the same day as the New Moon, which will also be in House VI of Scorpio, while the Sun will remain in this location until day 18th. With this cluster of energies, we can observe significant changes in the lifestyle of the sons and daughters of the scorpion, which of course will affect the work dynamics. It is about the breaking of old beliefs and the beginning of new projects, which will be reinforced by the entrance of Chiron in the VI House of Scorpion (17th of April). But be careful, in spite of the urgency that Uranus and Mercury (direct) will impose, it is better to take things slowly and delimit your plans in detail before moving forward; remember that Pluto and Saturn will be retrograde, which translates into hard work and take responsibility for the path itself. Saturn and Pluto will begin to retrograde in the II House of Sagittarius, on April 17th and 22nd, respectively. This transit brings with it lessons on resources (material and intellectual), which will also include a significant restriction of funds. Restricting funds does not mean (necessarily) that you will receive less money for your work, but the general trend is that expenses will be higher, due to payments or repairs that had to be made in advance. Analysing this aspect in detail, Saturn retrograde in House II indicates that you should not expect anything from luck, but what you get by own effort; while Pluto retrograde in the same position points to the organization. As a planet of riches, Pluto confers will and determination, but in this particular aspect (retrograde in Sagittarius II), it is as if to say “to build a building you must start at the bases, not the roof”. Keep in mind that also in the House II of Sagittarius are Mars and Lilith (the Dark Moon), so there may be some resistance and reactivity to the situation (desire to cut everything or find an immediate solution). Any transit involving Saturn and Pluto speaks of responsibilities and hard work, nothing is immediate and much less free, so patience and integrity are the best allies of the moment. On the other hand, the retrograde of Saturn and Pluto will not affect the work dynamics. Venus in the VI House of Sagittarius (until 23rd of April), refers to the enjoyment of the work that is done, beyond the economic. When the Sun enters this same site (House VI of Sagittarius), on April 19th, there will be a significant increase in the pace of work, in addition to meetings with people of professional interest. Opportunity to stand out indoors. For the natives of Sagittarius work as partners, April is an excellent period for the celebration of strategic meetings, with the teammate, thanks to the presence of the asteroid Pallas in the House VII of the sign. The creative projects will be particularly benefited in April since in addition to Pallas they will have the inspiration of Venus, first in House VI (work harmony), and then in VII (diplomacy in the agreements). Another aspect to consider, during this season, is Ceres in the House IX of Sagittarius, an astrological aspect that yields great benefits to those who dedicate themselves to teaching, and to students. Do not forget, that also in House IX of your sign is the North Node of Karma, the mathematical point associated with the mission of life, which for Sagittarius is especially related to the transmission of knowledge, regardless of the area of study or work. The finances will remain stable for the natives of Capricorn, during the month of April. However, it is important to remember that the South Node of Karma is located in House II of the sign, which translates into releasing restrictive beliefs related to money and resource management. At this point it can be disproportionate attachment to material goods, or thoughts how “you both have, both are worth”, and “you must break your back (working) to have money,” among others. Keep in mind that money is living energy and you should value it as such (Note: giving value is not idolizing or idealizing it). It is crucial to implement the awareness of prosperity and merit in all facets of your life. The presence of Ceres in House VIII of Capricorn indicates the support of the couple or the family in the attainment of material objectives, and the exile of old blocks associated with the subject. It can be something as simple as acquiring a new awareness of money, and the way resources are handled, simply observing the relationship that someone close to their source of income. In this sense, the entrance of Venus in the House VI of Capricorn, from April 24th indicates an opportunity to return to a love for daily activities, especially at work, starting from gratitude. It should be noted that Pallas is also in this location (House VI of Capricorn), but the new professional dynamic extends beyond a strategy or momentary change. It is something much deeper, linked to the internal changes that will drive the retrograde of Saturn and Pluto, in the sign of the goat, from the second half of April. Previously, Venus will be travelling through the V House of Capricorn (until April 23rd), which translates into an excellent creative moment, especially for those who work in the world of arts, and the management of goods. Keep in mind that the Sun will enter this same place (House V of Capricorn), on the 19th of April, so we are talking about a personal initiative taken to the professional, which has been cultivated for a long time and will bring success. Finally, remember that Jupiter remains retrograde in House XI of your sign, so it is essential to surround yourself with true colleagues, willing to collaborate, and not establish alliances for social or financial convenience. For the students of Capricorn, April will be a quiet season, in which they will be able to dedicate time to review the results obtained to date and to draw up new study strategies. Good time for research. Neptune in the House II of Aquarius drives creativity when investing (and rendering) the funds you have, so in general, April will be a quiet period in the economic aspect for the natives of the sign. However, it continues to be essential to request specialized or impartial advice when making high-value purchases and to carefully review the details of the product. The planet of the deep in the House II can be a serious indication of unrealistic perspectives, or a tendency to trust too much in the good faith of the strangers, in a matter of businesses. In what comes to work, Jupiter retrograde in the House X of Aquarius indicates that the tendency to procrastinate will be high, and negotiate new deadlines will not be advisable (may be harmful to the future). The retrograde of the planet of the expansion, on your X House, is translated in fighting against the comfort and the pride, so that they do not overshadow the professional achievements that you have obtained until now. While it is true that you have conquered a good position in your current environment, or are on the way to do so, overconfidence can play against you, moving away from the desired goal. While constant work (eye: constant, not tireless or feverish), hand in hand with a clear strategy (Pallas in House V: creativity added to realism), will allow you to stay on top. Note that the planet Venus will enter the House V of Aquarius, from April 24th, beginning a season full of inspiration, excellent for artists, designers and creatives. Another aspect to consider is the New Moon that will happen on April 15th in your House III, the same day and place where Mercury will finish retrograde (in this location you can also find Uranus, and the Sun until 18th of April). These alignments, and particularly the New Moon, favour the initiation of projects aimed at bringing ideas to the real plane, certify you in a subject or area that causes you deep interest, and let go of the charms of thinking too much, instead of going into action. The alignments will be favourable for the students of Aquarius, who will feel stimulated their curiosity; many will be willing to venture into new areas of knowledge. On April 17th, Chiron will enter the II House of Pisces, a position in which are also Uranus, Mercury (retrograde until 14th of April), and the Sun (which will leave the sector on April 18th). These alignments drive personal valuation work and heal the relationship with money, from a perspective of consciousness, merit and prosperity, applied to all spheres of life. In this sense, it is a question of not despising the material as unworthy or empty, but of respecting the energy of money; without, however, idealizing it, idolizing it as the solution to all the problems or casting it on a pedestal. The basis of your relationship with money and prosperity is anchored in beliefs of the past, which you can break by taking advantage of the influence of Uranus in your House II (note: this does not mean going out to spend crazily or stop working). You can work to be limited by yourself, identifying patterns and counteracting them with positive affirmations, or through alternative therapies, such as family constellations. In the workplace, having Ceres in the VI House of Pisces offers excellent management of time and efficiency when undertaking professional assignments. You will be recognized for your seriousness and responsibility in the workplace and may be offered a new position within the company, with higher remuneration, or other employment opportunities arise. But be careful, before assuming new obligations, analyse in depth if you can really fulfil them. Neptune in Pisces is capable of promoting an excess of optimism, which will later come into conflict with your reality. This Neptune position in Pisces also offers great creativity, which must be channelled constructively or it will waste your time, in an endless analysis of possibilities. Try to be as concrete as possible when presenting your ideas and projects, and try not to get involved in initiatives that require an immediate or career proposal. April is an excellent period for the analysis of future projects, especially those involving higher studies, contacts abroad, and international removals (retrograde Jupiter in House IX of Pisces). Trace your strategies with time, verify that they are adjusted to the market and reality. Leave the least to chance. Trust in the spiritual is fine, but you must reinforce your intention with concrete actions.